Estate Planning, Wills and Trusts, Probate, Corporate and Business Law, Employee Fraud, and Tax Law. About The Law Office of Steven M. Katz P.A. 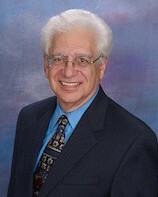 Steven M. Katz has been practicing law since 1965. In excess of 50 years, he has represented individuals, businesses, and non-profit organizations. The Office of Steven M. Katz is located in the county seat of Rockville, Maryland, and boasts easy highway and Metro access, close proximity to the Courthouse and ample free parking. Mr. Katz, a long time resident of Montgomery County, was born on February 8, 1941 in Washington, DC and is married with four children and nine grandchildren. After graduating from the University of Maryland and becoming a Certified Public Accountant, Steven Katz attended George Washington University Law School. Mr. Katz has taught courses at the University of Maryland, where he was instrumental in bringing the paralegal program into the college curriculum, as well as at the Kaufman-Cades CPA review school and has given seminars for the Montgomery County Bar Association, the Maryland Association of CPA’s, the U.S. Government, and numerous local and national groups and organizations. He is licensed to practice law in Maryland and the District of Columbia. Steven M. Katz is listed in Martindale-Hubbell’s Bar Register of Preeminent Lawyers. The Bar Register of Preeminent Lawyers lists only those select lawyers and law firms that have earned the AV® Rating in the Martindale-Hubbell Law Directory and have therefore been designated by their colleagues as preeminent in their field. He is also listed in Who’s Who in American Law and Who’s Who in Business and Finance. Mr. Katz is a member of the Maryland State Bar Association, The Maryland State Bar Foundation, The Montgomery County Bar Association, and the D.C. Bar Association. He has served on the Ethics Committee of the Montgomery County Bar Association and is a former Chairman of that Committee as well as the Economics Committee. He also is a member of the Estates and Trusts section of the Montgomery County Bar Association, and the Estates, Trusts and Probate Section of the D.C. Bar. U.S. District Court for the District of Columbia, U.S. Court of Appeals for the District of Columbia, U.S. Supreme Court, U.S. Tax Court, U.S. District Court for the District of Maryland, and the Maryland Court of Appeals.